On Wednesday 16 May 2018, Minister for Resources and Northern Australia, the Hon Matt Canavan announced Humpty Doo Barramundi was the first Northern Territory recipient of a Northern Australia Infrasturcture Fund (NAIF) loan. 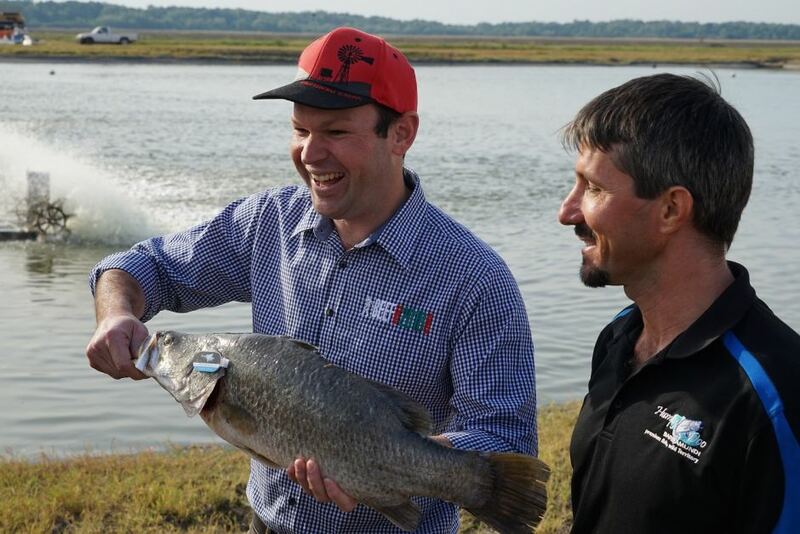 An exciting program to develop the Northern Territory’s barramundi aquaculture industry is being made possible through the $28.7 million loan from NAIF over the next five years. Humpty Doo Barramundi will match the NAIF loan with funding from external sources with their own $28.9 million investment over the five years in a three stage project to expand its facilities, introduce solar power generation, improve aquaculture practices and increase production. Assistance through the NAIF loan will enable Humpty Doo Barramundi to remain a family-owned farm, without the need for private equity or foreign investment.